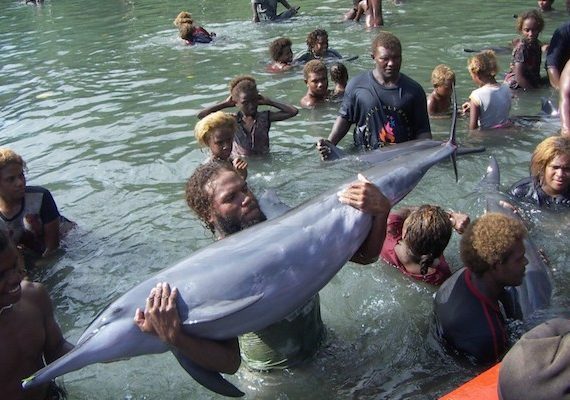 In the Solomon Islands, various communities have engaged in the practice of dolphin hunting for hundreds of years. The teeth of dolphins are used as currency and in bridal dowries, while dolphin meat is also consumed. 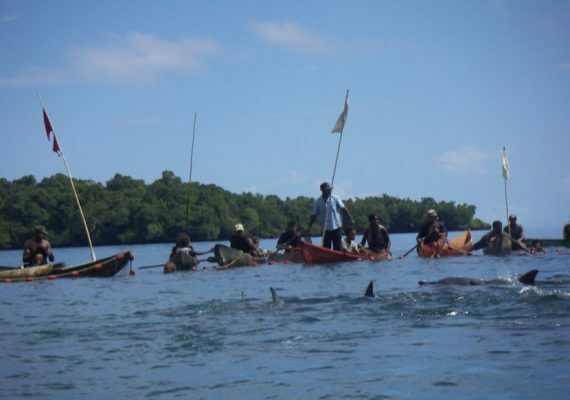 The people of the island of Malaita have hunted dolphins in a drive hunt fashion, but Dolphin Project is working to end the practice through innovative community development initiatives.